A ridiculously funny design illustrating the full timeline of human evolution. A superb decal from our collection of funny wall stickers. 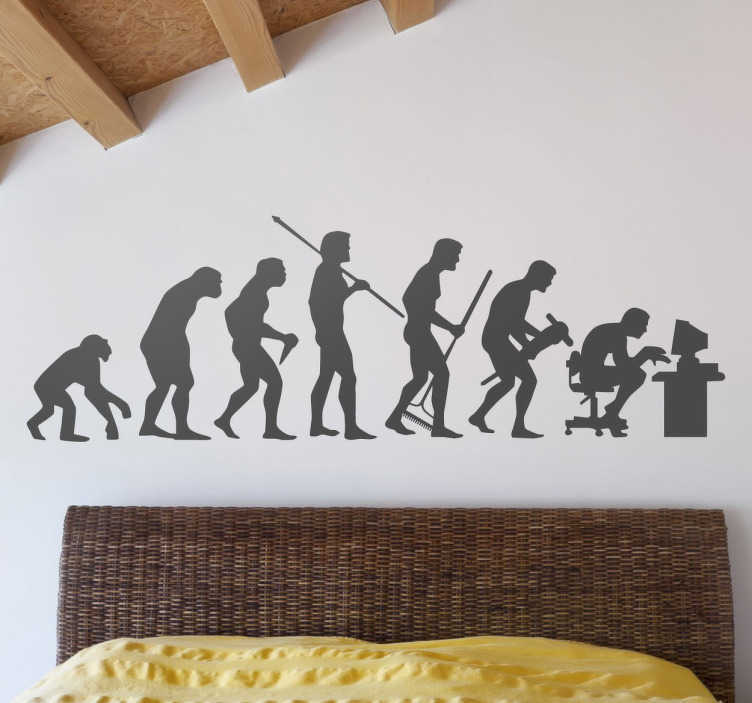 A Charles Darwin themed wall sticker based on his theory of evolution also reflecting today's lifestyle. Humorous and stylish at the same time. You can now personalise your place and also this unique decal. This human evolution timeline design can also be placed on any other smooth surface (furniture, electronic devices, etc). Super easy to apply and remove.